Sage One Accounting is now Sage Business Cloud Accounting. Looking for a promo code or discount code for Sage One Accounting? Sage One Accounting is one of the leading cloud accounting systems for small UK business. There are some more current Sage Promo Codes here, check them out. You probably know that and are just looking for a deal. Well you have found one, at least until 31st January 2018, where by following this link you can get 50% off for the first 3 months. So that is now just from £10 per month. 50% off Sage One Accounting limited time deal so do it now. I’m not going to out and out sell you Sage One, as you probably have already made you mind up by now, but it is simply a leading product. Find out more about Sage One. Good luck and I hope that Sage One promo code is still available. Four years ago, Sage One was a late comer to the market as cloud based accounting system. Both Kashflow & Xero had become established as the go to solutions fora cloud solution. However with Sage’s long history of accounting systems, it was inevitable they would respond to the cloud challenge. Clod based accounting systems are ideal for smaller businesses, although for some a monthly subscription is not something they are used to, as previously they would have paid a large licence fee upfront and feel they ‘own’ the product. ( they don’t of course it is still a licence). However when you do the calculations the continuous updates of a cloud subscription model for an accounting system start to make sense. If you have previously ‘own’ Sage software, why not look back at the actual costs and compare. And the also think about the flexibility that accessing your accounting system on any device any where brings to a small business person on the move. Jobber may look expensive initially compared to the alternatives but when you start to understand the limitation of the alternative you will appreciate why Jobber is a great tool. Naturally, you will be searching for a Jobber Discount Code, or a Promo Code for Jobber. The way it works is through referral code, so the best way is to sign up for a free trial now, using this link, that way when you start to pay after your free trial of Jobber you will get a $75 dollar credit. The great thing is, unlike a Discount Code or Promo Code for Jobber you can then refer your associates and get $75 credit for yourself when they sign up to a free account. So better than a Jobber discount code, which would be a once only event, your discounts grow with your referrals. So simply follow this link and sign up for a free trial and you will get a $75 credit once you have upgraded to paid. 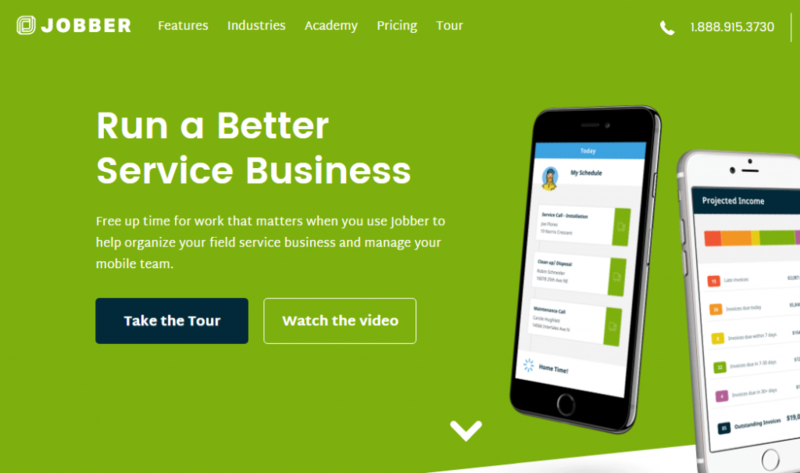 So why is Jobber a great fit for your businesses? 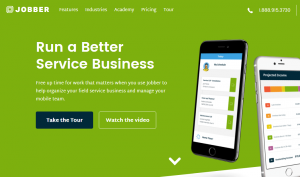 Firstly this app has been thought out and developed to cover all the basic needs of a small to medium business going ‘onsite’ to perform predfined or adhoc tasks. For example a plumber, a landscape gardener, electrician and more. Any device / anyway web app. Additionally Jobber can be used to manage franchises with special franchise feature available from Jobber. You probably found this because you are searching for a PipeDrive Coupon Code or PipeDrive Discount Code. There are many CRM’s and I have used a few, but PipeDrive has many benefits. The main thing I like about PipeDrive is the way it presents information visually, so it is very easy to understand your pipeline at a glance. There are many sites that offer a Kashflow Coupon Code, but are they genuine and current? My affiliate code for KashFlow is current as of 2017, and using this discount code you can get real savings on your KashFlow subscription. I am only promoting KashFlow as I use it myself and it is simply a very easy to use accounting system for UK businesses. It really is designed for small businesses. To get your KashFlow discount you just have to use my code when you sign up. The link will automatically apply my discount code, and when I get a rebate you get a discount, it is as simple as that. This Kashflow Promotional Code 2017 is valid right now. KashFlow is a major force in cloud based accounting solutions for UK businesses, to be considered along side Xero, FreeAgent , QuickBooks and Sage 50. KashFlow is a extremely easy to use tool, much thought has been put into making KashFlow easy to use. It really is designed for use by people that don’t really understand accounting, but have to do it. The important thing is to enter the discount code LLOCALLY but that link should do it for you. What does the Kashflow Discount Code get you? The coupon code will get you £1.50 off your subscription, for 6 month of the business + payroll package. If you found my page then you have come to someone that genuinely uses the product, not some random coupon code provider that dominate the search results with often non working codes. I hope you enjoy your discount with KashFlow. Not sure? Looking for discount codes on a different accounting system. Check out our Sage One Discount Code here. Gocardless may be offering a sign up deal so just follow this link https://gocardless.com/ to see what is on offer, but right now as far as I know there are no discount code that is public. GoCardless Standard is perfect for small business with no monthly fees, only 1% transaction fees ( compare that to credit cards or PayPal at closer to 3% ) and what is really great is a maximum of £2 per transaction. E.g. lets say you are a professional ( consultant / accountant etc ) and bill the client £1,000, if you took Credit Card payment via stripe is would cost you £29.20p but with GoCardless if would be just £2. 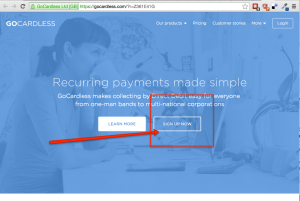 Who needs a coupon code or promo code for GoCardless when their fees are so low. Of course its no just for one off payments, recurring payments are simple too. If your transaction volumes are higher, they have an enterprise fee level, which does have a monthly fee, suitable for higher volume enterprises ( the breakeven is straight forward to calculate ) or enterprises that need a fully white labelled experience. I hope that by referring you to GoCardless your business will benefit, of course details may change so always refer tho the GoCardless website for any definitive information on pricing or services. Looking for a coupon code, or discount code for KashFlow. You found one: LLOCALLY is the coupon code to enter at sign up. Kashflow is a great accounting system for small businesses and you get an unlimited 14 day free trial without having to even enter your credit card. But I am sure you will love it and want to continue, after all it hardly breaks the bank. However, even when you sign up for your trial, if you want to benefit from a Kashflow Discount Code, then you need to enter your Kashflow Coupon Code / Kashflow referral code at the time of signing up your free trial. The best Kashflow deal out there is £1.50 of every month for 6 month of the business + payroll package. It is easy to signup and no hassle if Kashflow is not for you. and enjoy discounted KashFlow, simply the best cloud accounting solution. Kashflow not what you want? what about a Sage One Promo Code here? Kashflow is one of the leading cloud based accounting systems. I’m going to keep this post short right now, before I compare Kashflow with other systems, because you probably are here because you want a discount code on KashFlow. What does the Kashflow Discount Code get you? The coupon code will get you £1.50 off your monthly subscription of business + payroll package for 6 months. The web has really enabled what they called many years a go Bureau services, later became ASP (Application Service Providers), the SaaS (Software as a Service), and now commonly called cloud applications. Fast broadband and low cost of server resources and a business model that is sustainable (difficult to crack / hack licences as there are none so software theft is minimal, on going payments means that the software can be kept up to date etc). Has made all this possible. From the business user perspective, it provides easy to use applications, that can be accessed anywhere without expensive and inflexible internal IT support, and a very low cost of entry, making it especially attractive to smaller businesses. So this is the age of the cloud. In this blog I will go through some of the good ones. And also where I can, get some discount code going.